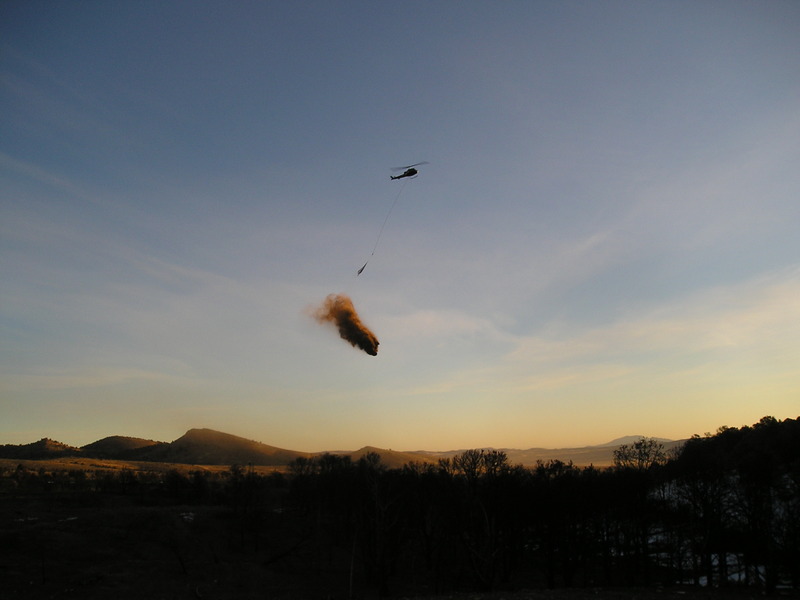 Salmon River Helicopters began aerial mulching in 2011. 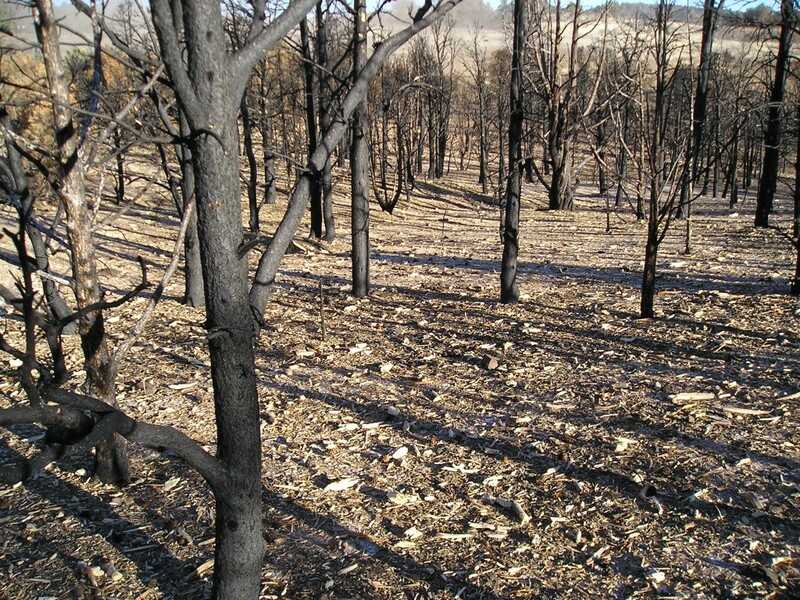 Since then, we have mulched thousands of acres of severe to moderately burned areas. 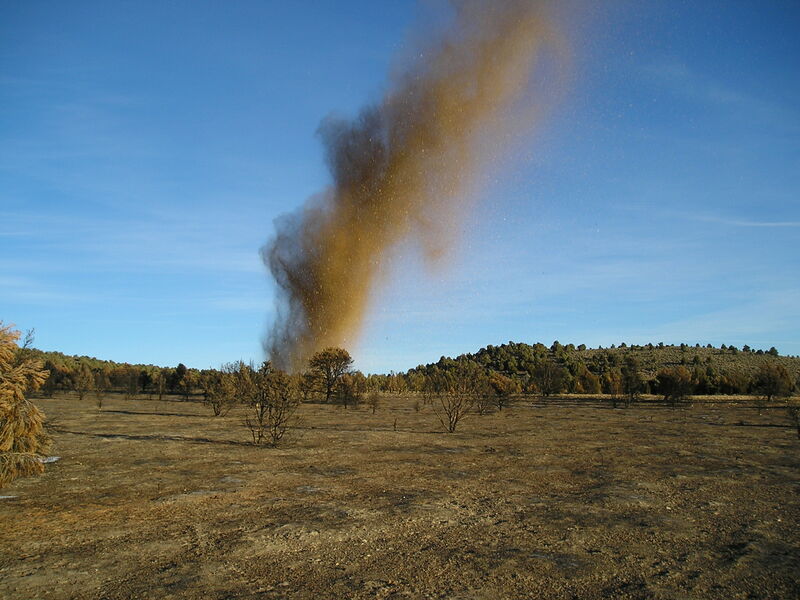 When fires burn hot and intense the soil can become sterilized, incapable of supporting new vegetative growth, and/or susceptible to erosion. We understand the urgent and sensitive nature of aerial mulching applications. 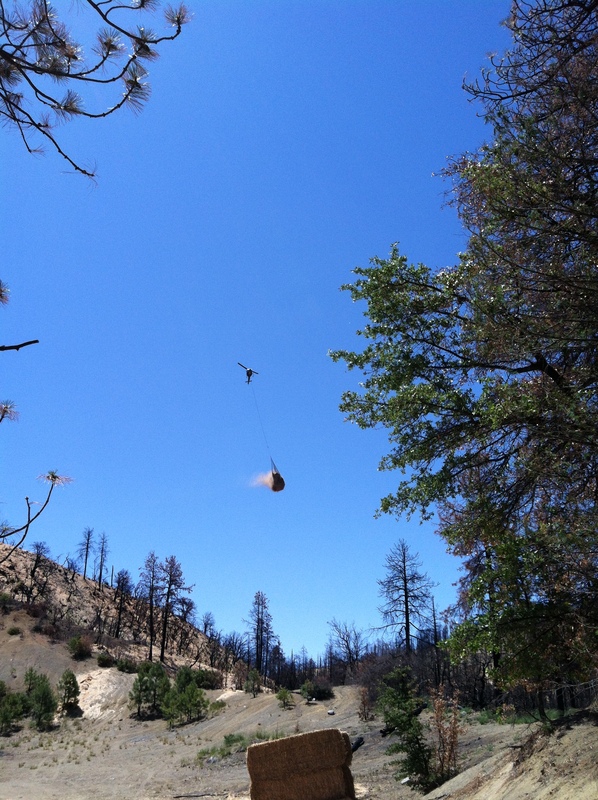 We are one of the few fire rehabilitation operators operating their own aircraft. Once Salmon River Helicopters commits to a project and schedule; those aircraft are committed until it is 100% complete and 100% approved. What is straw bombing or aerial mulching? Aerial straw and aerial wood mulching is the application of agricultural straw or wood shreds to the ground using helicopters. The objective is to achieve a continuous cover of medium thickness to replace ground cover consumed by fire. Ground cover is needed to maintain soil moisture, accelerate recovery of native vegetation, to protect any seed remaining on site, and to improve success of any seeding treatment. The mulching also protects soil from solar heating and drying, thereby improving the ability of seeds to germinate. 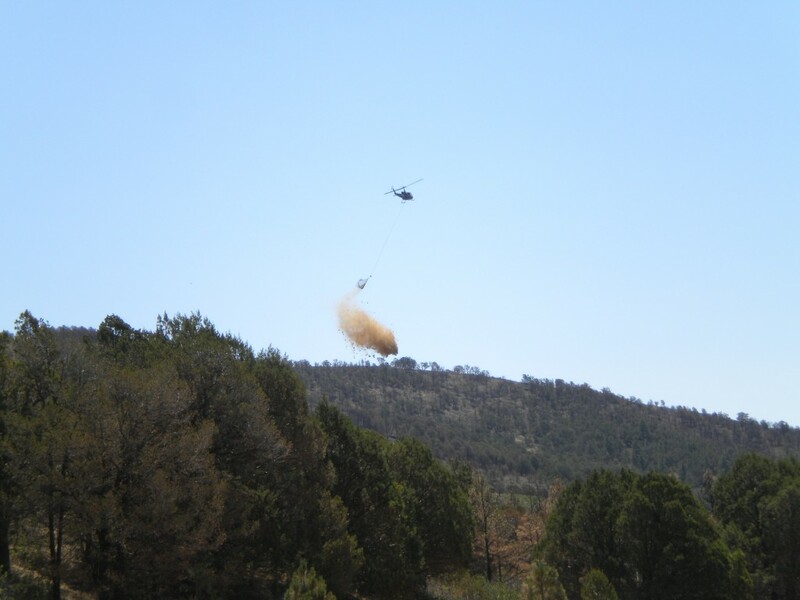 Aerial mulching is sometimes referred to as “straw bombing;” this is because as straw or wood material is dropped from the net of a helicopter it explodes like a bomb. Which is better; straw or wood mulch? 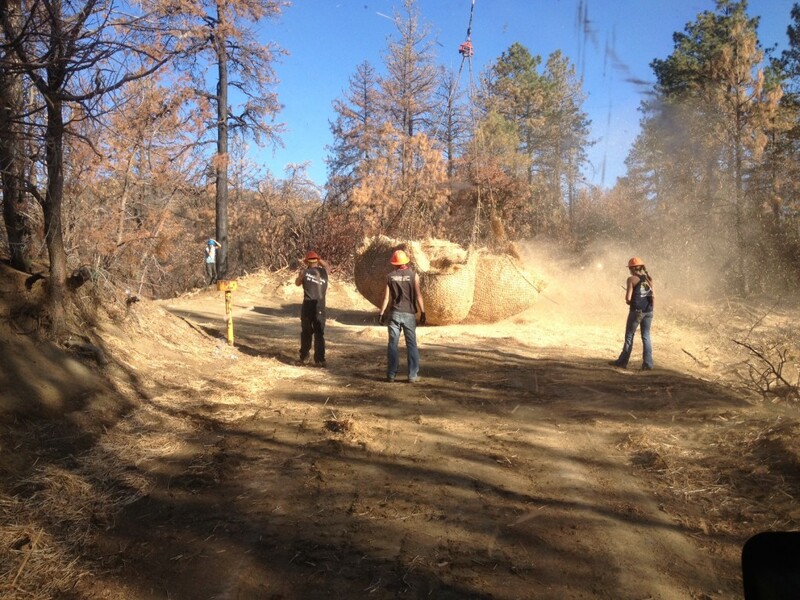 Each BAER assignment is very specific to the needs of the forest and terrain. Straw mulch application is the most common. Certified Weed Free Straw is produced and baled by local farmers. Certified weed free is required by all government agencies in order to prevent the spread of noxious weeds. Wood mulch is ideal for windy ridges, steep terrain, and an anticipated high volume of water runoff; specifically because it holds to the hillside better than straw. Helicopters are ideal for two main reasons: the urgent nature and accessibility. Almost always these types of projects are urgent in nature and need cover immediately to protect human life, property, and to accelerate recovery after a severe burn. Many treatment areas are in rough, rocky, and steep terrain not accessible by roads or trails.